Details about Hikari Sinking Wafers All Sizes .88oz to 2.2# / Want It For Less? LOOK INSIDE! 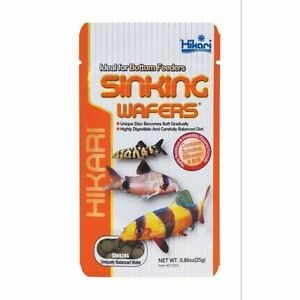 Hikari Sinking Wafers All Sizes .88oz to 2.2# / Want It For Less? LOOK INSIDE! Great catfish food, quickly shipped. Would highly recommend to all! My loaches love these pellets!! Fast shipping! !